This article first appeared in City & Country, The Edge Malaysia Weekly, on September 3, 2018 - September 09, 2018. Singh Drive, which has amenities and developments that attract residents, shoppers and, of course, the diners of Penang. 3 Residence Condominium, which is set on a 4.51-acre freehold parcel, promises to bolster the Penang property market with its key location, panoramic views of the strait and reasonable pricing. 3 Residence has a gross development value of RM318 million and it comprises two towers with 478 apartments. All units have three bedrooms and two bathrooms with built-ups ranging from 845 to 1,157 sq ft. Prices start at RM551,000. 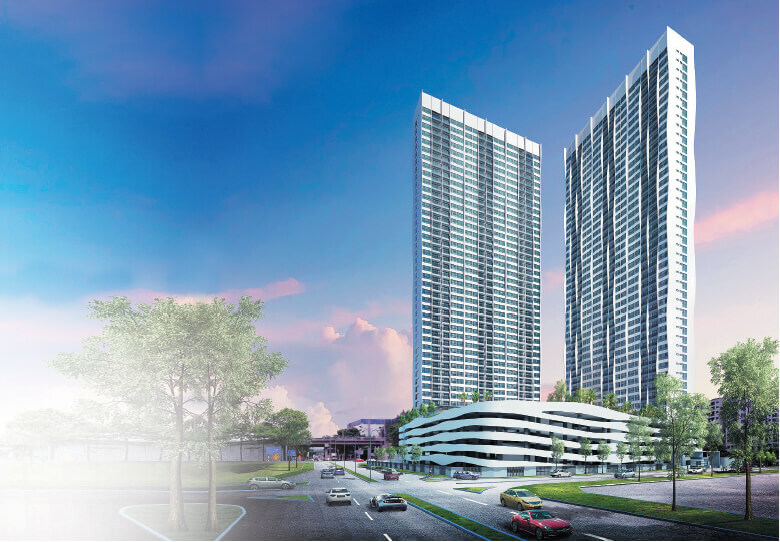 “We believe the apartments at 3 Residence are affordable, comparable with current market prices and demand in Penang, especially since the project is located in a strategic area,” says Chong. IJM Land plans to capitalise on 3 Residence’s strategic location at Karpal Singh Drive, Jelutong. The suburb comprises apartments, affordable housing and some thriving commercial developments, according to Chong. “We are cautious in launching our products. Before we introduce anything into the market, we analyse a specific area, such as Jelutong, and we design our developments to cater for it,” he says. Nearby residential developments include The Spring, Maritime, Summer Place and landed homes at Nautilus Bay, all by IJM Land. “If you observe this area, past developments, such as The Spring (a project we launched in 2009), have done really well. The values for The Spring have doubled since the launch. Thus, we believe 3 Residence (with its concept and unique selling points) will perform well and will be a good addition to the area,” says Chong. 3 Residence is next to Wesley Methodist School Penang (International). “Nearby amenities and shopping malls include KOMTAR Penang (2.9km away) and E-Gate (4km away),” says Chong. 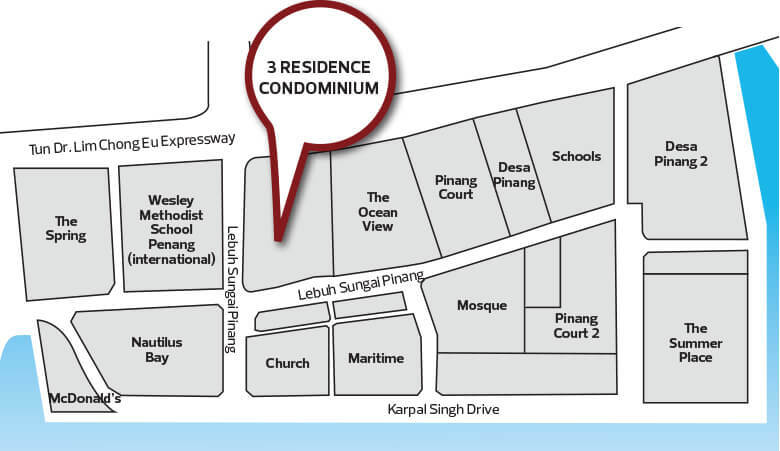 In terms of connectivity, 3 Residence will be near the Tun Dr Lim Chong Eu Expressway. “The development will be within a short distance of many areas of interest and amenities,” says Chong. These include the ferry terminal (3km away), Penang Bridge (5.3km away), Gurney Drive (4.9km away), Penang International Airport (14.8km away) and Batu Ferringhi (15.1km away). The ample facilities at 3 Residence will include an infinity pool overlooking the bay, Jacuzzi, cabana, multipurpose hall, play zone, panaromic deck, coconut cove, gym, lounge area and a surau. “All units are 3-bedroom/2-bathroom, which makes them suitable for young families and young couples who are looking to live in a good area of Penang,” says Chong, adding that IJM Land is targetting a mix of owner-occupiers and investors for this development. According to Geh, the prices of non-landed residential properties (with built-ups ranging from 1,200 to 1,500 sq ft) in Karpal Singh Drive are RM600,000 to RM700,000, while the prices of landed residential properties (such as a 3-storey, 22 x 100 ft terrace) range from RM800,000 to RM1.8 million and most of the residents are owner occupiers. Some of the key drivers of Karpal Singh Drive are the nearby schools, malls and its connectivity. “The area is close to amenities such as the Penang International Airport which is about 20 minutes away without traffic. The future of Karpal Singh Drive is positive and property values in the area will continue to go up,” says Geh. In Penang, IJM Land plans to launch The Mezzo @ The Light City in March next year. It has a GDV of RM513.5 million and will comprise 456 apartments with built-ups of 1,033 to 1,367 sq ft. Prices will be from RM900,000 to RM1.39 million. The Mezzo is part of IJM Land’s The Light City, a mixed-use development that has a GDV of RM4.5 billion. Sitting on a 32.76-acre freehold site, The Light City will have a total gross floor area of about 4.1 million sq ft and comprise a retail mall, Penang’s largest convention centre known as Penang Waterfront Convention Centre, two hotels, a 28-storey office tower and residential projects, The Mezzo and The Essence. The Light City is Phase 2 of integrated project, The Light Waterfront which sits on 152 acres of reclaimed land off the coast of Jelutong and has a GDV of RM6.5 billion. The company first launched Phase 1 (residential component) in July 2009. The company also launched Sanctuary Ridge, Phase 4, of Permatang Sanctuary in Bukit Mertajam. The phase comprises 208 double-storey link and semi-detached homes with built-ups of 1,983 sq ft and detached units. 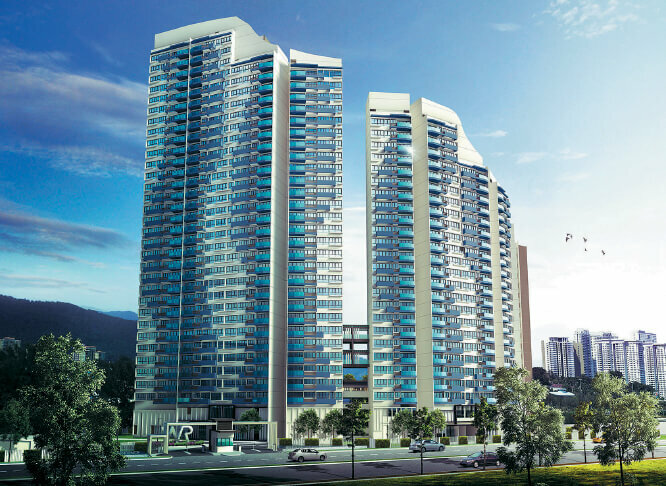 Launched in January, Sanctuary Ridge has a GDV of RM156 million. Prices start from RM735,000. The current take-up rate is about 65%. Despite the stagnant market and change in government, IJM Land appears to be holding steady and has achieved good take-up rates for all its recently launched projects. In Kuala Lumpur, IJM Land launched Savio — Phase 1 of Riana Dutamas — in Segambut last year. “Riana Dutamas has done well, with a take-up rate of 70% so far,” says Chong. It has a total GDV of RM1.5 billlion. The freehold project, on 16.15 acres, will be developed in three phases. Savio has a GDV of RM568 million. Riana Dutamas Phase 1 will feature a 36-storey tower with 1,018 residential units and five levels of parking. With built-ups of 653 to 1,177 sq ft, the units come in one, two and three bedrooms with prices from RM575 psf. This year, IJM Land has launched Alam Suria Enclave (Phase 1) in Bandar Puncak Alam at its Shah Alam 2 township. It comprises 119 units of double-storey terraced homes with built-ups from 1,620 sq ft, with a GDV of RM63 million. The units are priced from RM579,000 and are 100% taken up. “We have plans to launch Phase 2 sometime this year as well,” Chong adds. Other launches this year include Riana South condominium in the Klang Valley, ongoing phases in Bandar Rimbayu in the Klang Valley, which comprises 2-storey link homes and a 5-storey apartment block, as well as Seremban 2 and Seremban 2 Heights in Negeri Sembilan, comprising 2-storey link homes and a 16-storey apartment block. 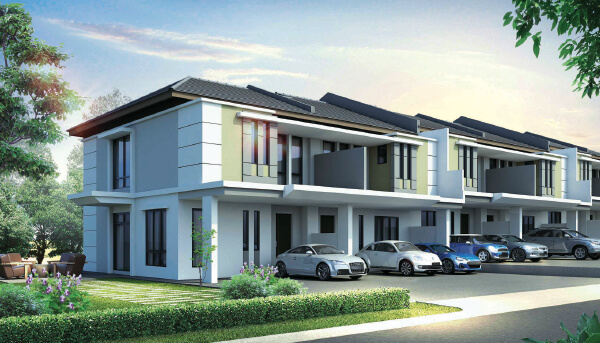 In Johor, IJM Land launched phases in Austin Duta, comprising 2-storey homes. Founded in 1989, IJM Land has a vast portfolio that includes townships, commercial properties, offices and landed and high-rise residences in Greater Kuala Lumpur, Penang, Pahang, Negeri Sembilan, Johor, Sabah and Sarawak. IJM Land — the property arm of IJM Corp Bhd — was privatised and made a wholly-owned subsidiary of the group in 2015. Its notable projects include Seremban 2, Pantai Sentral Park in Kuala Lumpur and Nusa Duta and Sebana Cove in Johor. IJM Land currently has 4,038 acres of undeveloped land bank worth RM33.69 billion in Malaysia, China and the UK. Locally, it has land in the Klang Valley (959 acres), Penang (173 acres), Negeri Sembilan and Melaka (844 acres), Johor (677 acres), Pahang (1,098 acres) and East Malaysia (279 acres). Its overseas parcels are in Vietnam (5 acres), Changchun (2 acres) and London (1 acre). “We are occupied with our current land bank, but we are open to an acquisition if something valuable comes up,” says Chong.